Home > Blog & Resources > Aerospace > Chinese Drone Warfare a real possibility. Chinese Drone Warfare a real possibility. China’s security forces planned on using new drone technology to kill or capture a Mekong River drug lord. This has never been done before in China. The Chinese government planned on calling in a drone strike on his remote hideaway. Although the attack didn’t happen, the plan called attention to the nation’s use of drones. Chinese aerospace firms have developed several types of drones, some that even have a resemblance to the United States’ Predator, Global Hawk, and Reaper models. Although China’s military posture is entirely defensive, China’s move into large scale drone deployment, demonstrates its growing military sophistication, and could challenge U.S. military dominance in the Asian-Pacific region. China’s drones, like most new Chinese equipment, remain untested in battle. Early Chinese drones were used for reconnaissance, in 1979, in Vietnam. 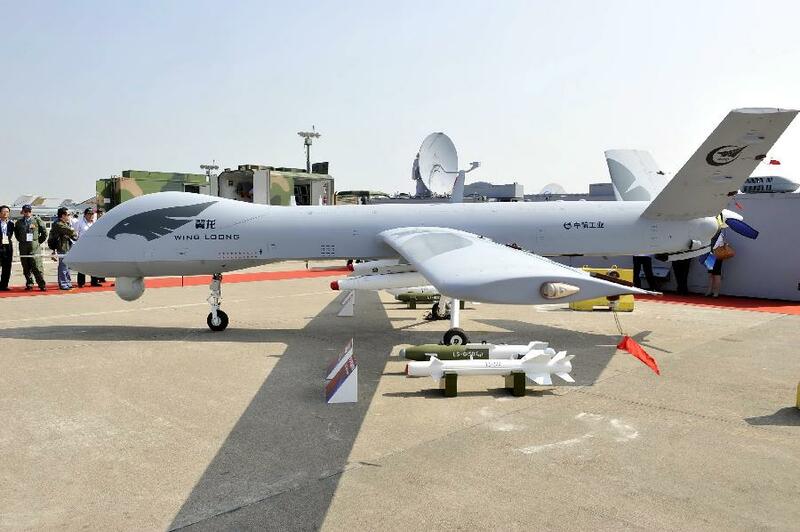 The new UAV’s in China’s array span from simple propeller driven models to high-concept, and stealthy, like the “Dark Sword”. (Similar to the U.S. Avenger) Similar models to the US’s Reaper, called the Wing Loong, or Pterodactyl have reportedly been exported to countries in the Middle East and central Asia. These drones also carry a greatly reduced price tag, compared to the U.S. Reaper at $30 million each. The Xiang Long BZK-005 has a reported 6,437 kilometer range and is roughly the size of a medium fighter jet. Full deployment may still be some time away, a crash in 2011, however points to rumored problem with guidance systems. Further s could see China competing with the world’s two largest drone producers, The United States and Israel. What impact could this have on the United States’ drone production and ? This month a Northrop Grumman made, X-47B took off for the first time from the deck of the USS. George H.W. Bush. The drone then completed a “Touch-and-go” on the deck the following day. With the US adding several firsts to the history of the Unmanned Aerial Vehicle’s history, the continued and deployment of cutting edge drones is sure to continue far into the future.